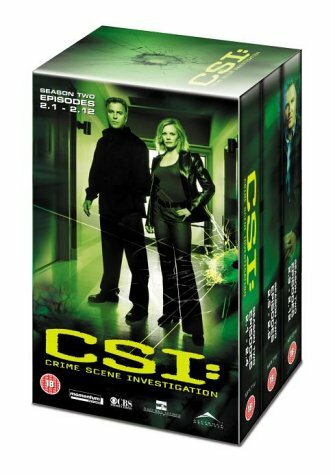 These first 12 episodes from the second series of CSI: Crime Scene Investigation consolidate the show's well-deserved popular appeal, while beginning to explore (gently at first) beneath the slickly professional surface of the investigators themselves. Gradually we learn more about what makes Grissom and his astonishingly gifted forensics team tick, beyond merely that they're workaholics who seem to require no sleep at all. The show's trademark reveals of vital evidence--be it on the autopsy slab or under the microscope--add a fresh spin to what is, at heart, a good old-fashioned whodunit series. William Petersen brings the requisite air of antiquarianism to a character whose meticulous demeanour and love of order consciously inherits the mantle of Sherlock Holmes (whose vast collection of tobacco samples and bottles of chemicals are the ancestors of CSI's high-tech crime lab). This is a series in which scientific evidence-gathering is elevated to the status of a religion. "When a tree falls in the forest, even if no one is around to hear, it does make a sound", affirms Grissom with the calm assurance of a yogi on the path to Enlightenment. And just when CSI starts to seem a little too pat, just when the trail of clues seems too neat, the show always seems able to throw a surprise or two at us: perhaps there has been no crime after all; perhaps the evidence concerns a completely different crime altogether; or perhaps, as in one brave episode concerning brothers implicated in multiple murders, the evidence simply isn't good enough to convict the right man, even when Grissom knows which one really is guilty. As a result, every episode is simply compulsive viewing.